Hello, everybody! Surprise! Surprise! It’s me-Leo. 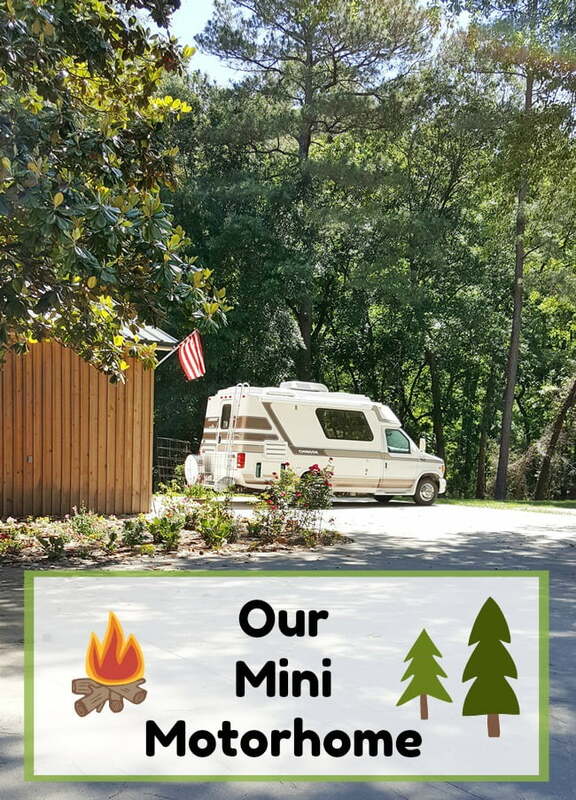 I know it’s been a long time since I’ve written a post but I wanted to show and tell you about our new mini motorhome! Well, it’s new to us. Until just a few weeks ago, I’d never heard of a mini motorhome. Let me take you back. 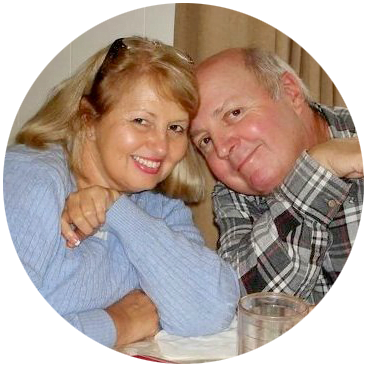 Since Jane and I are both retired, about a year ago, we started discussing how we were going to spend our golden years. We both concluded that it would be nice to do some traveling while we still can. Since neither of us knew anything about RVs, we started researching and literally shopping. We really had no idea what we wanted. 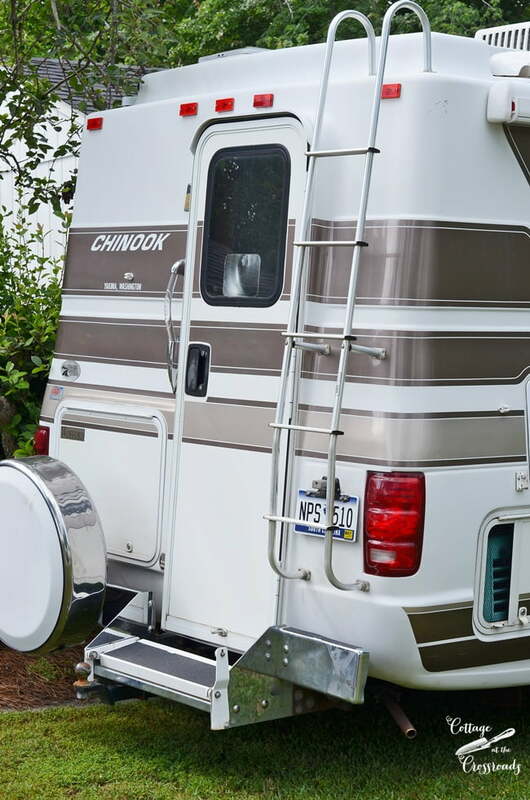 Who knew that there were Class A, B, and C motorhomes, travel trailers, and fifth wheels? We looked at them all, not really knowing what we wanted and here’s the big one, what we could afford. As luck would have it, I bumped into some friends and members of our church who indicated that they may be ready to sell their motorhome. I asked about it and they told me it was a Chinook, a smaller, mini motorhome. So I said, “What’s a Chinook?” In all of our research and looking, it was the first time I’d heard that word. Here’s a Chinook. After hours of more research online, I learned that it is a top of the line mini motorhome made in the state of Washington. 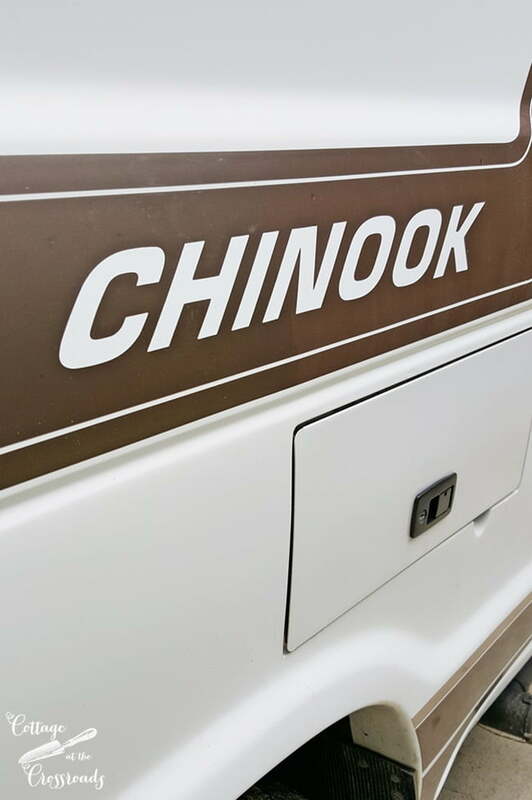 Unlike most motorhomes, the Chinook is a one piece molded fiberglass shell guaranteed for life not to leak. It sits on a Ford E-350 V-10 chassis. In short, it’s a nice one. In our research, we discovered that these Chinooks are hard to find and highly collectible. And to think that here was one parked less than a mile from where we live! Well, it actually had been kept in a warehouse, and it had never been slept or cooked in!!! Our friends gave us a very reasonable price so we bought it! I took several hours learning about the systems. Here we’re looking at the onboard generator. We’ve taken it on a few day trips just to get the feel. We’re planning our first overnight maiden camping venture very soon. Jane says that she likes the stripes and not the swoops that you find on so many rvs. And there in lies the difference. Jane is concerned about stripes, swoops, and interior decor while I’m concerned with system operations, tire pressure, and gas mileage! We make a good team. By the way, here’s 90% of the reason we decided to buy a motorhome. Lucy can travel with us wherever we go. She loves it and so do we! I know you’re dying to see the interior, right? That’s coming soon. I love reading your blog. Your place is so neat & cozy. Maybe I’m wrong, but I don’t get many emails from you folks & I miss hearing from you. 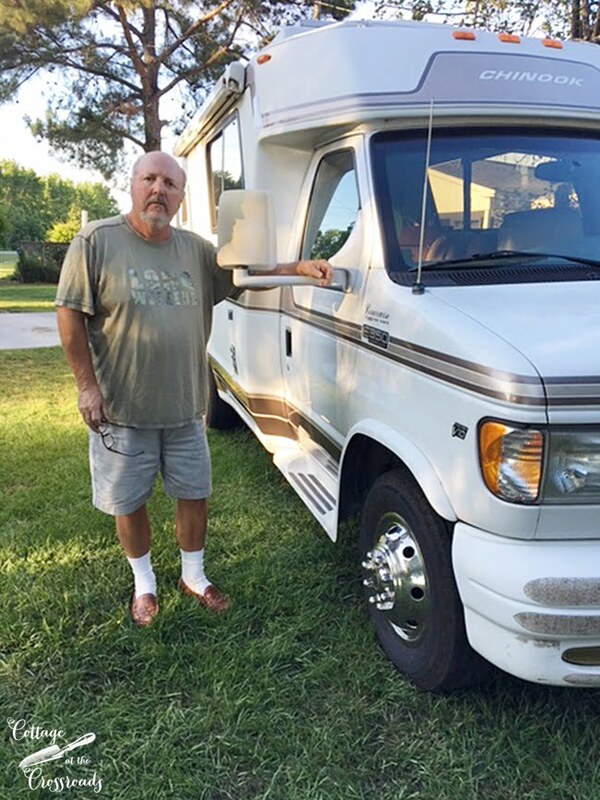 Have you taken many trips in your RV? 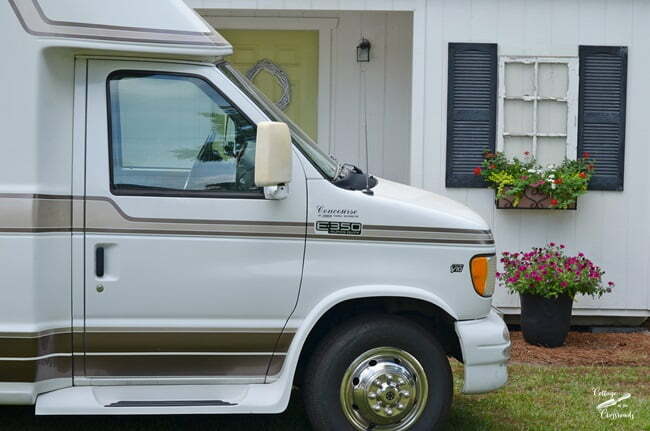 We too have planted gardens & had several different RV’s. Your place is beautiful. We live on 5 acres & believe I know how much work a garden & acreage can be. Jane, I too am a retired teacher of 30 yrs. We seem to have a lot in common. Hopefully I’ll hear from you folks soon. We’ve only made 2 short trips in the RV. My mother has taken a turn for the worse and I have been taking care of her. Will try to squeeze in a blog post soon! How fun, Jane. I can’t wait to see the interior. We are making over our camper in the next couple of weeks. What a great way to spend your retirement. I am so excited for you!! I bet you will be ‘hooked’ after the first trip!! (Lucy will!). Hope you enjoy it!!! Looks like you all are goign to have some wonderful adventures. Enjoy. Such an awesome find! And right near your home too. God does work in mysterious ways. Congrats! How fun!! It looks like one of those tiny houses that are all the rage right now! So glad Lucy can go too! What a great find! I know you’ll enjoy it a lot. We RV’d in early 2000’s and loved it. It was a big 37′ unit so once the kids were older we sold it. Anyway we would choose something like this now too if we were looking. 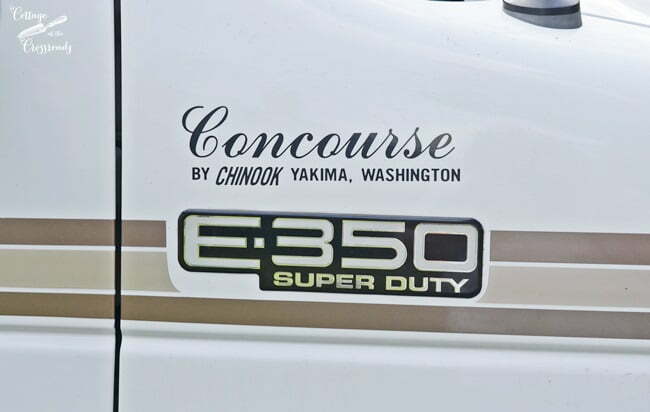 I’ve seen Chinook’s on the road but didn’t know the brand. Looks like a nice unit! Congratulations to you both!! Congrats!! !….I love the size of this motor home…seems more easy to navigate…Oh the places you will go!!! Can’t wait to see the inside or hear what you think after you take a few trips. We have been looking for a while and there are so many choices, it’s hard to decide what is best for your situation. We have a 2013 Jayco Greyhawk class C RV, 31 ft., for sale. It has one slide out. If you might be interested, please let me know. Hi Jane, Leo and Lucy! It’s the second time I am lucky to read your blog. I loved it from the first time and am sure I subscribed, but an étiquette remains me constantly to do so. But that’s a detail. My name is Romy and I write from Switzerland French speaking part. I have to tell you that I love your writing style. You present your new aquisition and your cooperation with your wife in such a nice and lively manner that now I am dreaming of a same home on four wheels, even at my age of 78. I wish all of you three to make nice tours and have lots of happy adventures. PS: pardon for my orthographe. Enjoy your new adventures! Can’t wait to see the new pictures. What a tease Leo! You know we are dying to see inside that thing!! I can’t wait to read all about your travel adventures! Happy trails to you two!! Wow! So nice to hear from Leo. Congrats on the new travel van. I am sure you will enjoy it immensely and take many wonderful trips. Leo looks good with the beard. I can’t wait to see the interior! I have seen these motorhomes going down the road and always thought they were cute but have never seen one up close. With the costs of hotel rooms and not knowing how clean they really are (bed bugs etc) rv’s are so nice. You know it’s clean. And being able to take our pets is always a bonus. We used to travel with our cat Molly. It was nice having her with us knowing she wasn’t home alone missing us. I look forward to your next post about the motorhome interior and future posts about your great adventures in it. Congratulations!!! Here’s to many wonderfull adventures! 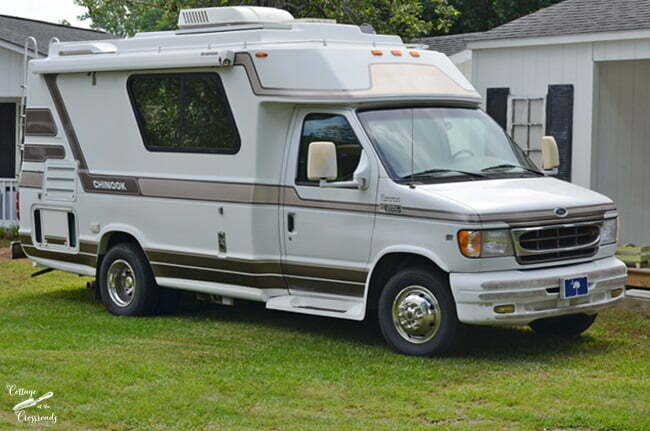 My hubby has been talking about getting a small motor home for a few years now. He hasn’t retired yet, but eventually I think this is the size we are interested in, too. Not too big and not too small. Maybe someday he will actually take the plunge and quit talking about it. Congrats Jane and Leo and Lucy. Wishing you many fun and safe travels in your new home away from home with wheels. Have fun. Greetings from Cape Town, South Africa. I cannot wait to see the interior of your motor home. Don’t keep us waiting too long…. Even if you never left SC, there are so many wonderful campgrounds. If you like to fish, check out Lake Wateree State Park. All sites are fully paved and huge. Palmetto Shores in Summerton, Willowtree RV Resort in Longs, Devils Fork in upstate, Dreher Island on Lake Murray, Rutledge Lake in Fletcher, NC. Mt. Pleasant KOA. OK, I need to stop. Have fun! WOW… Awesome!!!!! Happy trails…. and can’t wait to see the interior!!!! Have fun and enjoy it ! And enjoy each other ! 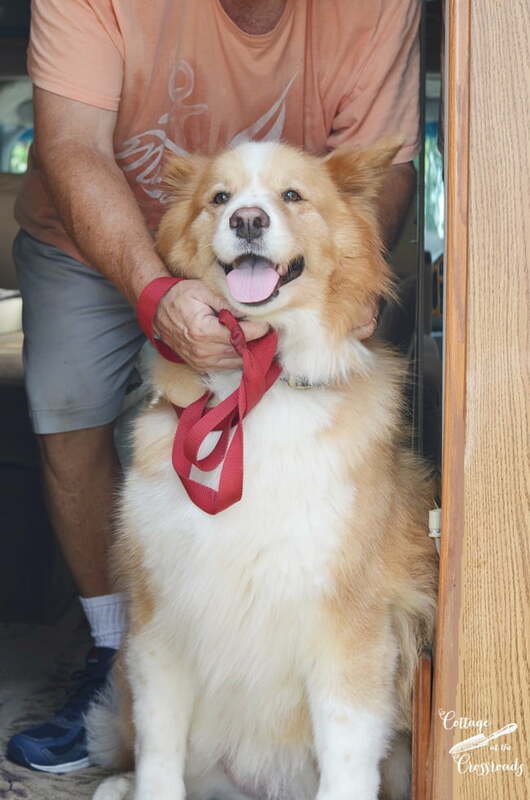 My late husband and I were planning on traveling also….Love it that Lucy can go ! She is so pretty ! I love it and can’t wait to see more about it! Looks like fun times are ahead of you – enjoy! Congratulations! You are gonna love RVing. It’s the only way to travel. Our motorhome (Fleetwood Flair) stays packed and ready to go. We keep it loaded with food and clothes. We use it for Nascar races, tailgating of all kinds – football, baseball, concerts, etc. 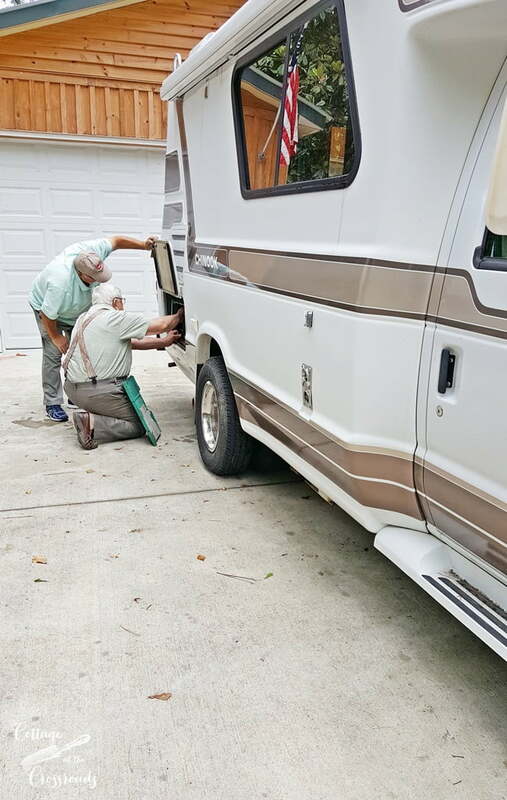 It’s also great for traveling to all our grandchildren activities, and with 16 grands, we use it for transportation when we have so many visiting at one time during the summer they won’t fit in our car. It’s been to Disney and Carowinds and all the attractions in between. We are currently on a mission to stay overnight at every State Park with a campground in SC – we’re about halfway through them. In addition, it’s additional sleeping space when everyone shows up at Christmas. And one more added bonus…the generator…you will never be inconvenienced during power outages again. Have fun!